All human beings need safe and clean drinking water. Nevertheless, agriculture, industry, and urban activities threaten fresh water. Particularly, metal pollution can be extremely hard to detect early. Due to this, researchers are continually looking for sensitive indicators of water quality. 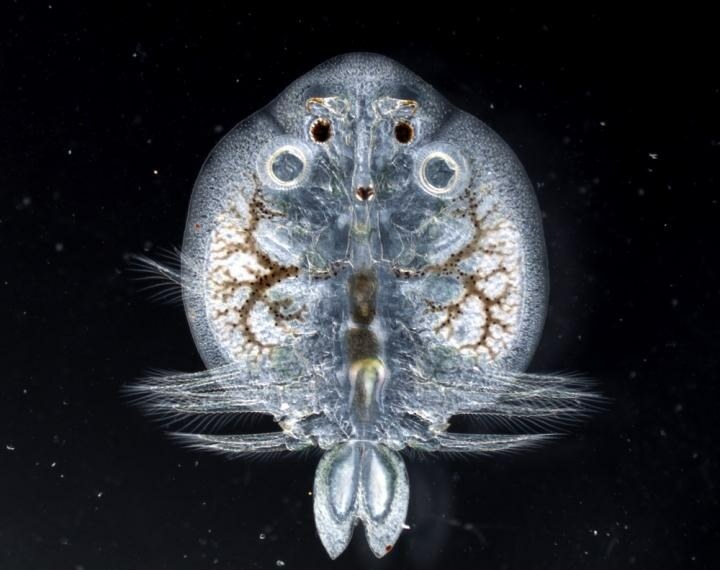 Currently, a fish louse exhibits significant promise as an early indicator for monitoring pollution in rivers and dams. Image credit: Prof. Annemariè Avenant-Oldewage, Department of Zoology, University of Johannesburg. Water samples only provide the details of a river for a moment in time. So scientists examined fish because fish amass pollutants such as metals over a long period of time. But it can be hard to get full details from fish also, says Prof Annemariè Avenant-Oldewage. She is the Head of the Department of Zoology at the University of Johannesburg. In the follow-up study, Prof Avenant-Oldewage and her team investigated tapeworms. Tapeworms live within the intestines of fish, but they are not ideal. The host fish they reside in has to be killed to analyze for amassed pollutants. Furthermore, the scientists discovered that tapeworms also have a way to eliminate metals. An egg-bearing tapeworm can move metal pollutants in its body, into the egg shells it is about to discharge. As a substitute, the scientists then looked at external fish parasites. If these suffice, no fish would have to be killed. Subsequently, Prof Avenant-Oldewage's team examined an external parasite known as Paradiplozoon. The parasite resides on the gills of fish. At this juncture, the fish louse, Argulus japonicus, enters the study as a probable early indicator. Argulus japonicus lives in numerous kinds of freshwater and oceanic environments. It is a crustacean, a relative of the shrimp. It lives on the skin of numerous species of fish, but is also able to swim searching for a host. As it infects the skin of its host, scientists can remove it without harming the fish. All these abilities make it a useful option. In their most recent study, the scientists examined Argulus lice from the Vaal River. They were keen to see what fish lice did with the metals they collected. Dr Beric Gilbert caught yellowfish and mudfish in the Vaal Dam, near Deneysville. Then he took out Argulus lice from the fishes. He froze the parasites, applied stains, and then used a microscope with fluorescent functions to look at areas in male and female lice that had greater concentrations of metals. "Most of the metals were in the hard outer layer of the lice, also called the exoskeleton. There wasn't much difference in the amount of metals absorbed by male and female Argulus," says Dr Gilbert. The stronger the fluorescent signal, or glow, produced by the microscope, the greater the amount of metals collected in those areas of the lice. Argulus fish lice do not yet meet the requirements as good freshwater indicators, says Prof Avenant-Oldewage.